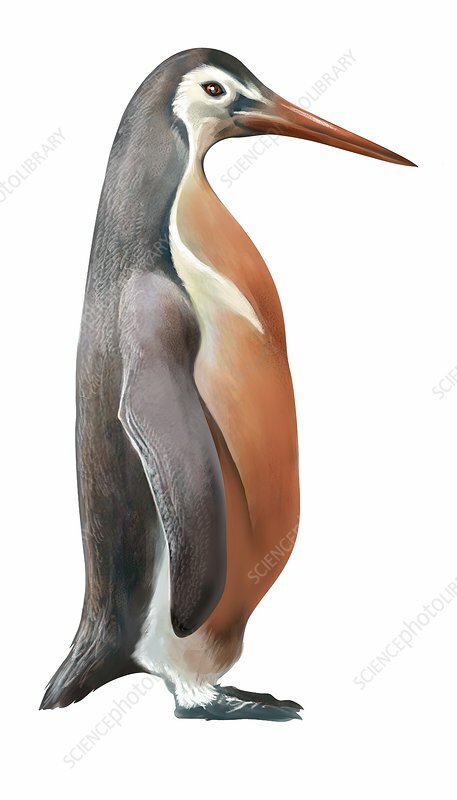 Inkayacu paracasensis, extinct penguin, illustration. This extinct species of giant penguin lived in the Late Eocene tropics of South America. It was grey or reddish brown, about 1.5 metres tall, and lived approximately 36 million years ago.